On Monday, Mark Zuckerberg showed up to pre-IPO roadshow investor meetings wearing his signature hoodie. Wedbush Securities managing director Michael Pachter commented on Bloomberg news yesterday that Zuckerberg should show the investment community some respect by ditching the hoodie in investor meetings and wearing it is a sign of immaturity. "Mark and his signature hoodie: He’s actually showing investors he doesn’t care that much; he’s going to be him. I think that’s a mark of immaturity. I think that he has to realize he’s bringing investors in as a new constituency right now, and I think he’s got to show them the respect that they deserve because he’s asking them for their money." Predictably the tech elite attacked Pachter; Pacther was even called a “doofus” by Kara Swisher of All Things D. To his credit Pacther is taking it well, even suggesting on Twitter that Mark wear an executive pinstripe hoodie. As a guy who proudly wears jeans and tee shirts to formal events, you would expect me to attack Pachter as well. While I don’t completely agree with Pachter, he does have a point. Founders represent the heart and soul of a company. They set the company culture and lead by example. The problem with founders is that they sometimes forget that their company has grown up and they are still acting like the company is a small upstart. This disconnect between the company’s size and maturity and the founder’s attitude and behaviors can cause problems, sometimes major ones. As startups start to mature, their founders have to mature along with it. As the company moves from startup to challenger, to market leader, the founder has to make adjustments along the way. Behaviors and policies that were appropriate for a small startup may not be appropriate for a company that is public. For example when Bill Gates rallied the troops by saying that they were going to “cut off Netscape’s air supply”, Bill was guilty of acting like Microsoft was the tiny underdog when in reality it was a huge publically traded market leader and Netscape was the tiny upstart. Gates’ comment became a major piece of evidence in Microsoft’s anti-trust trial. I’ve made this mistake many times as well. Zagat went through several phases while I was CTO in the dot com boom and my playful behavior that worked so well in the pre-IPO/VC dot com environment of late 1999 did not go over well in the post-crash/layoff environment of 2001. We had brought in a new CEO after the dot com crash and my enthusiasm was misinterpreted by the CEO as not being serious. Unfortunately this reflected poorly on the entire IT staff. I was guilty of forgetting that the company had changed and it was time to keep the same spirit but change some tactics and behaviors. Once I did, things picked up nicely. Founders also make the mistake of thinking like a startup when larger company decisions are needed. For example, it took Microsoft something like 20 years to buy a corporate jet, Google and Facebook had to get sued to start acquiring patents, and Yahoo! turned down a lucrative offer from Microsoft since they still thought of themselves as a Silicon Valley rebel instead of the blue chip big media company in the trouble it was in. At Telerik, our founders have had to make adjustments over the years. When I met them Telerik was a scrappy 30 person company. Now we have teams that are larger than that and over 600 people worldwide. The founders have scaled and adjusted their behavior accordingly, all while keeping true to themselves and the company culture. They wear jeans and tee shirts to the office, collared shirts to board meetings, and suits and ties when accepting the Red Herring 100 award. I’m not saying the Mark Zuckerberg should ditch the hoodie and wear a suit to work everyday. However, he should realize that going public requires some behavioral changes, not just in financial accounting, but also in his leadership style. 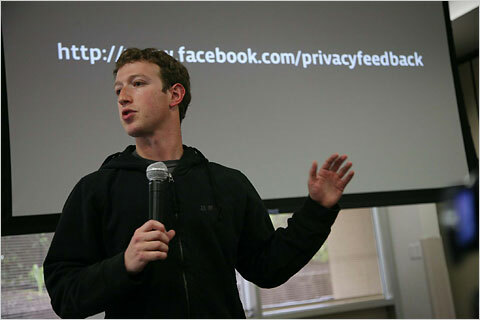 The techie rebel in me applauds Zuckerberg for standing up the the man and wearing his hoodie on Monday. The experienced MBA side of me also cringes knowing that Zuckerberg is bound to make several Bill Gates style mistakes, mistakes that could cost Facebook dearly.